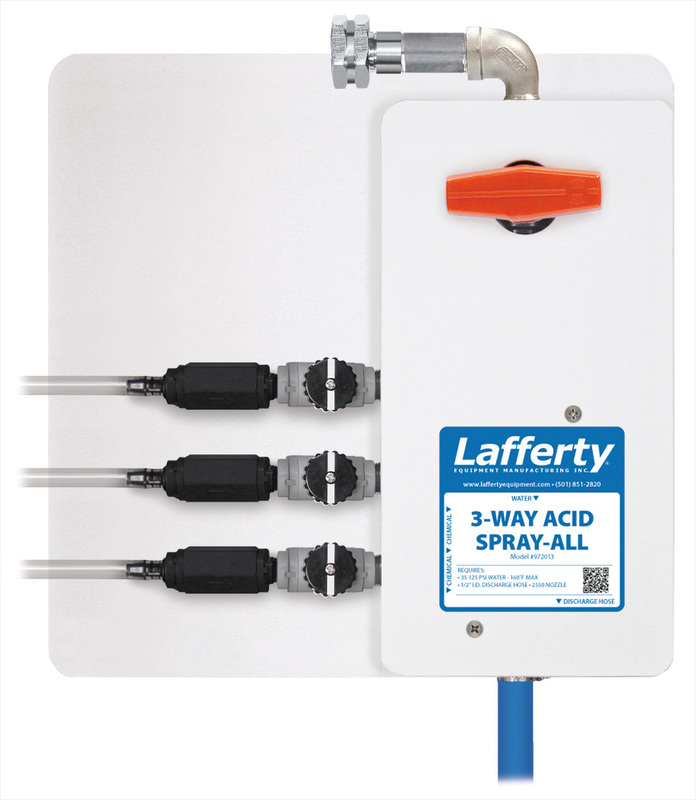 3-Way Acid Spray-All | Lafferty Equipment Manufacturing, Inc. The 3-Way Acid Spray-All is a water-driven, medium volume spray applicator for applying 3 highly corrosive chemicals such as those used to remove concrete and for aluminum brightening. This acid-resistant venturi injection system uses standard city water pressure (35 - 125 PSI) to draw and blend a high concentration of acid into the water stream to create a strong solution. The solution is then projected through the discharge hose, wand and fan nozzle as a low pressure, uniform spray. Use the chemical ball valves to inject the 3 chemicals separately or simultaneously.